For a little background information, it’s important to understand the fundamentals of how copyright law works. Apple owns the copyright on the software, images, and data used inside iOS: they created them. Because of that, they have the ability to decide what other people can — are licensed to — do with them: copy, distribute, adapt, modify, or any number of other protections of their works. Pretty simple. But this does lead to one important, if somewhat counterintuitive, fact: just because a piece of data is available freely on the internet does not mean that you have the rights to redistribute that data (or any part of it) without an applicable license. In practice, that means that just because certain files are freely available on a device or inside a firmware (.ispw) file freely downloadable from Apple’s website, it does not imply that those files can legally be distributed by anyone else. In the context of Siri, this means that the resource files, images, and code that makes up Siri cannot be freely shared. These frameworks and plugins that work together to build Siri are not included on other iOS builds besides the ones running on the iPhone 4S. Therefore, these files must be copied from a running iPhone 4S, or from the iPhone 4S’s firmware (.ipsw) file. The first method requires you to own an iPhone 4S to copy the files from, so it is not useful for most people: if you already own an iPhone 4S, you already have Siri. The issue with the second method is more technical: the firmware files are distributed encrypted, and we do not yet have the decryption key to access the Siri files inside of the iPhone 4S firmware file. Just from that, you currently must already own an iPhone 4S to install Siri on it without a blatant copyright violation. But even that’s not all: if you do all of that, there’s still a few more reasons why Siri won’t just work. Anyway, I hope that clears up some of the technical and legal reasons why distributing a build (or instructions) to run Siri on older hardware isn’t possible at the moment. 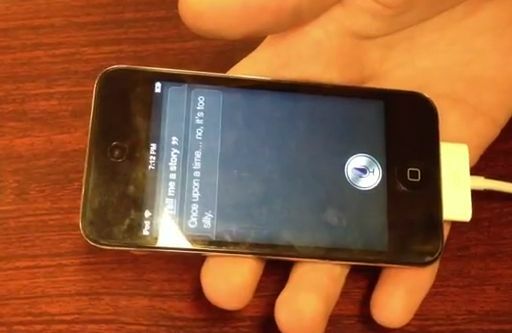 When we have the ability to decrypt the encrypted iPhone 4S firmware file — to extract the Siri files legally, without the need for an iPhone 4S — and we have an iPhone 4S jailbreak to obtain the other nececssary information at a mass scale, hopefully this can become a reality and everyone can try out Siri on their older devices. Until then, showing you a video that it is possible is the best we can do.